Well, we do it all! Paddock to Plate is a term thrown around randomly these days but at Schulte’s it is actually what we do. Our pigs are sourced from the Reed family at Millmeran. Our cattle are raised at the Yagaburne Poll Hereford Stud bred on the Western Downs near Goondiwindi by the Glasser family. Yagaburne Beef is free of chemicals, antibiotics, free range and grass fed. With full control of our own processing facility you are guaranteed flavoursome tender beef and pork every time. Schulte’s Lambs are sourced from Carey Bros in Warwick with deliveries twice a week guaranteeing freshness and quality. 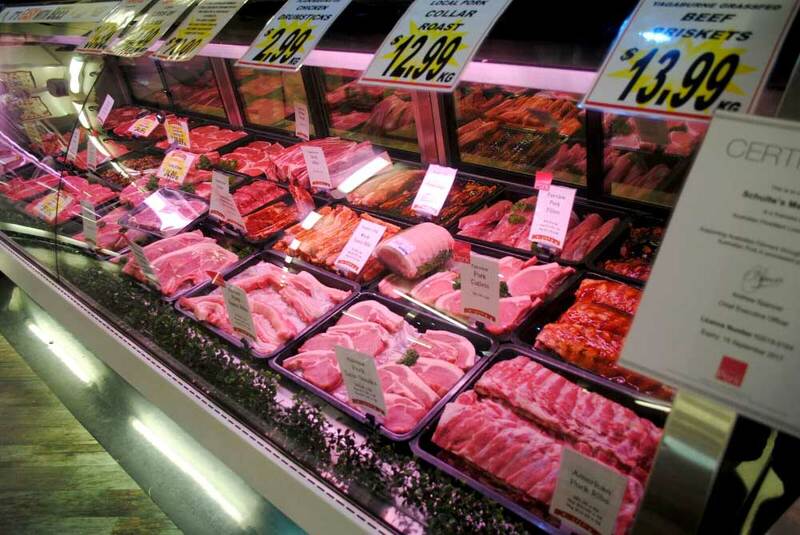 Our showcases are filled to the brim of wonderful fresh red meat, lamb and pork choices as well as crocodile, kangaroo, duck, chicken and value added products for the busy families. Our friendly, highly trained staff will assist you with choices of quality and economical cuts as well as cooking suggestions. All of our staff are qualified and will have completed apprenticeships and traineeships within the meat or retail industry, or are currently studying to upgrade their skills. With full control of our own processing facility you are guaranteed flavoursome tender beef and pork every time. 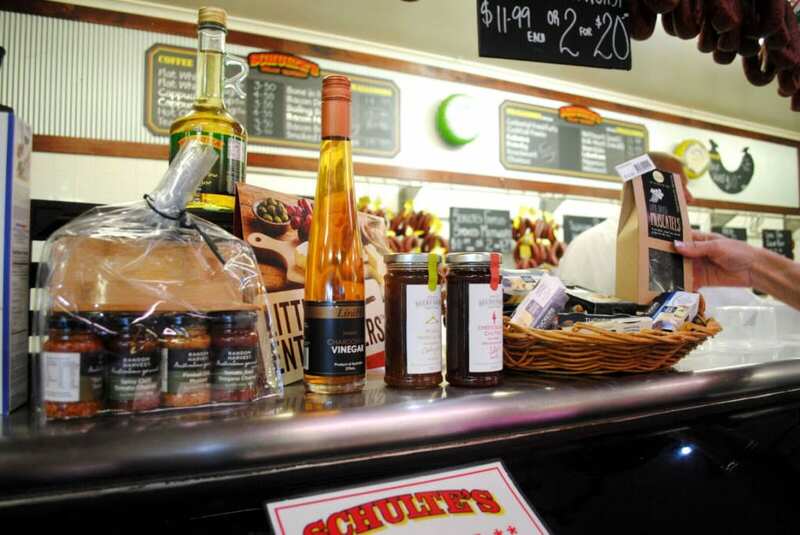 Nothing is wasted at Schulte’s. As award winning small goods manufacturers every part of what we process is utilised. We smoke our Mettwurst, Hams, Bacon and other products in our own smokehouses at Plainland so that every step of the way quality control is kept to rigorous standards. Our Gluten free small goods, are walking off the shelf. So what’s a great steak without the Vege? At Schulte’s we also offer a full range of farm fresh fruit and vegetables, offering some of the best quality in the Lockyer Valley. Add locally sourced bread and bakery lines, milks and yoghurts from Scenic Rim 4 Real Milk and Barambah Organics from South East Queensland mean that your staples are also taken care of. 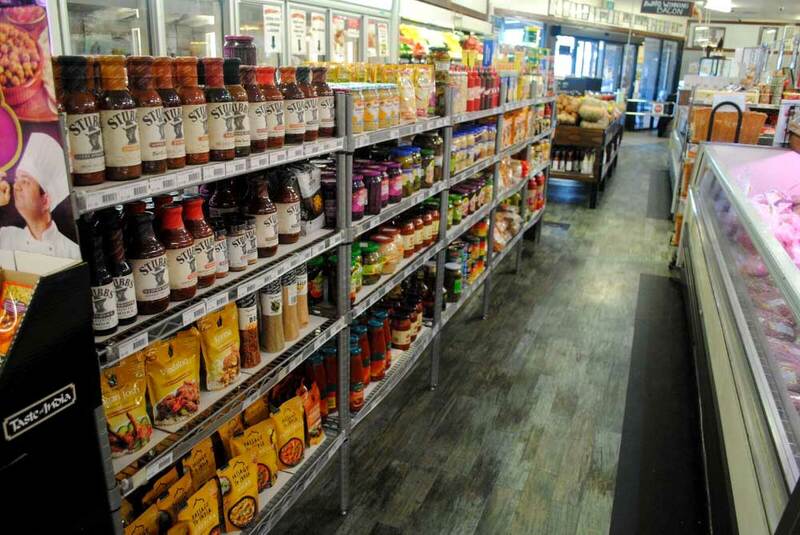 Our range of Deli lines and Continental dry goods means we can offer a full array of Pasta’s, Sauces, Vegetables, Spices and Herbs to create a complete meal without having to leave Schulte’s. Cheese, olives, pastes and other antipasto selections go hand in hand with quality small goods and our extensive range means that we can cater for even the most selective of tastes. Feel like a glass of high quality Queensland wine with your meal? We also stock Ballandean Estate Wines from the Granite Belt. 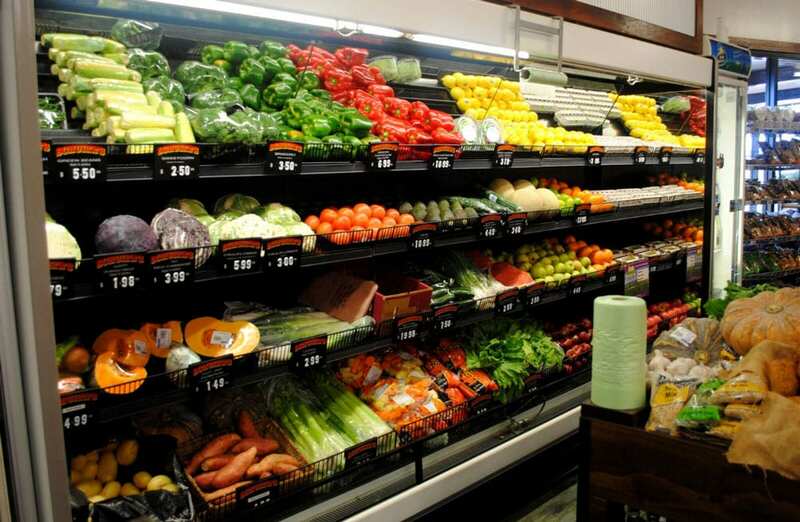 This completes our boast of being a one stop Fresh Gourmet Market. Our friendly staff will assist you with a taster of products to help you make the perfect choice for your occasion!